In order to meet the overwhelming trend of growing bandwidth, different standards for single-mode and multimode fibers are published, and parallel fiber connector (MTP/MPO) is designed to solve the problem of increasing fiber count. 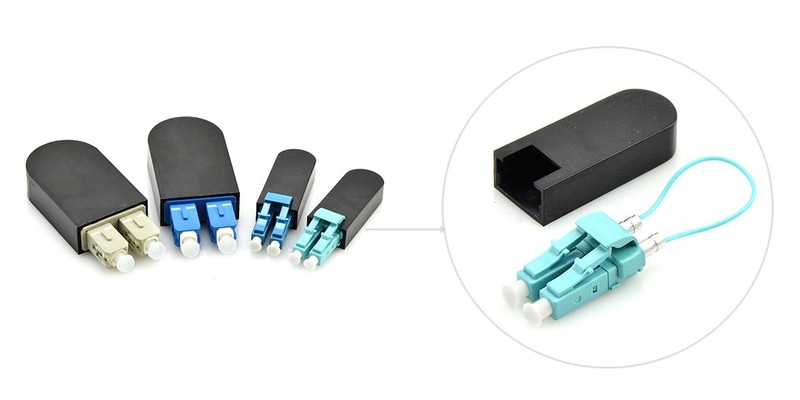 Though the fiber types are changing, the use of the parallel connector seems not to be outdated, not only for present 40G and 100G applications, but also for future 200G and 400G. This post will discuss the issue on a new fiber type and the role of parallel fiber in 40GbE and beyond networks. Since the establishment of multimode fiber in the early 1980s, there has been OM1 and OM2, and laser optimized OM3 and OM4 fibers for 10GbE, 40GbE and 100GbE. OM5, the officially designated wideband multimode fiber (WBMMF), is a new fiber medium specified in ANSI/TIA-492AAAE. The channel capacity of multimode fiber has multiplied by using parallel transmission over several fiber strands. In terms of single-mode fiber, there are only OS1 and OS2; and it has been serving for optical communications without much change for a long time. Compared with the constant updates of multimode fiber and considering other factors, some enterprise customers prefer to use single-mode fiber more over the past years and for the foreseeable future. With the coming out of the new OM5 fiber, it seems that multimode fiber might last for a longer time in the future 200G and 400G applications. The new fiber medium OM5 is presented as the first laser-optimized MMF that specifies a wider range of wavelengths between 840 and 953 nm to support wavelength division multiplexing (WDM) technology (at least four wavelengths). It is also specified to support legacy applications and emerging short wavelength division multiplexing (SWDM) applications. Although OM5 has been anticipated to be “performance compliant and superior to OM4” based on the following parameters, there are still some arguments on the statement that OM5 is a better solution for data centers. Figure 1: OM4 and OM5 comparison. OM5 supporters talk about the problems of present multimode fibers in long-term development. The opinion holds that the future 400GBASE-SR16 which will reuse 100GBASE-SR4 technology specified in IEEE 802.3bs Standard draft, calls for a new 32 fibers 2-row MTP/MPO connector instead of a 12 fibers MTP/MPO connector. It will be hard for current structured cabling that uses MTP-12 to move to MTP-16 requirements. Figure 2: 12f MTP connector (left) and 32f MTP connector (right). However, the OM5 fiber solution, which can support 4 WDM wavelengths, will enable 4 fiber count reduction in running 40G, 100G and 200G using duplex LC connections. Combined with parallel technology, 400G can also be effectively transmitted over OM5 fibers using only 4 or 8 fibers. Figure 3: 40G, 100G, 200G, and 400G WDM transmission over OM5 fiber. On the other side, some people don’t support the idea that OM5 is a good solution for future 400G network. They argue that OM5 isn’t that optimized than current MMF types. The first reason is that for all the current and future multimode IEEE applications including 40GBASE-SR4, 100GBASE-SR4, 200GBASE-SR4, and 400GBASE-SR16, the maximum allowable reach is the same for OM5 as OM4 cabling. 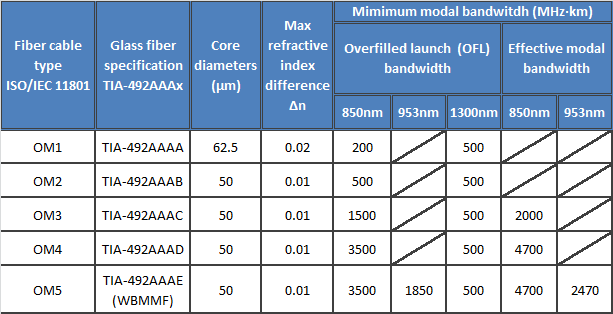 Figure 4: Multimode fiber standard specifications. The second reason is that, even by using SWDM technology, the difference on the reaches for OM4 and OM5 in 40G and 100G is minimal. For 40G-SWDM4, OM4 could support a 400-meter reach and OM5 a 500-meter reach. For 100G-SWDM4, OM4 could support 100 meters and OM5 is only 50 meters more than OM4. And thirdly, the PAM4 technology can increase the bandwidth of each fiber from 25G to 50-56G, which means we can stick to current 12-fiber and 24-fiber MTP/MPO connectors as cost-effective solutions in the 40G, 100G and beyond applications. The options for future higher speed transmission are still in discussion, but there is no doubt that no matter we choose to use new OM5 fiber or continue to use single-mode fiber and OM3/OM4 fiber, the “parallel fibers remain essential to support break-out functionality” as stated in WBMMF standardization. It is the fact that parallel fiber solution enables higher density ports via breakout cabling and reduces cost per single-lane channel. In optical communication, duplex and parallel optical links are two of the most commonly deployed cabling structures. This post will discuss some specific connectivity solutions using 2-fiber duplex and 8-fiber/20-fiber parallel fiber optic modules. A duplex link is accomplished by using two fibers. The most commonly used connector is the duplex LC. The TIA standard defines two types of duplex fiber patch cables terminated with duplex LC connector to complete an end-to-end fiber duplex connection: A-to-A patch cable (a cross version) and A-to-B patch cable (a straight version). In this article the LC to LC duplex cables we use are all A-to-B patch cables. It means the optical signal will be transmitted on B connector and received on A connector. A parallel link is accomplished by combining two or more channels. Parallel optical links can be achieved by using eight fibers (4 fibers for Tx and 4 fibers for Rx), twenty fibers (10 fibers for Tx and 10 fibers for Rx) or twenty-four fibers (12 fibers for Tx and 12 fibers for Rx). To accomplish an 8-fiber optical link, the standard cabling is a 12-fiber trunk with an MTP connector (12-fiber connector). It follows the Type B polarity scheme. The connector type and the alignment of the fibers is shown in figure 2. To accomplish a 20-fiber parallel optical link, a parallel 24-fiber MTP connector is used. Its fiber alignment and connector type is shown in figure 3. We will discuss the items required to connect two duplex transceivers in this part. These 2-fiber duplex protocols include but not limited to: 10GBASE-SR, 10GBASE-LR, 10GBASE-ER, 40GBASE-BiDi, 40GBASE-LR4, 40GBASE-LRL4, 40GBASE-UNIV, 40GBASE-FR, 100GBASE-LR4, 100GBASE-ER4, 100GBASE-CWDM4, 100GBASE-BiDi, 1GFC, 2GFC, 4GFC, 8GFC, 16GFC, 32GFC. When directly connecting two duplex SFP+ transceivers, an A-to-B type patch cable is required. This type of direct connectivity is suggested only to be used within a given row of racks/cabinets. Figure 4 shows two SFP+s connected by one LC to LC duplex patch cable. The following figure is an interconnect for two duplex transceivers. An 8-fiber MTP trunk cable is deployed with 8-fiber MTP-LC breakout modules connected to the end of the trunk. It should be noted that the polarity has to be maintained during the transmission. And pinned connectors should be deployed with unpinned devices. Structured cabling allows for easier moves, adds, and changes (MACs). Figure 5 illustrates this solution. 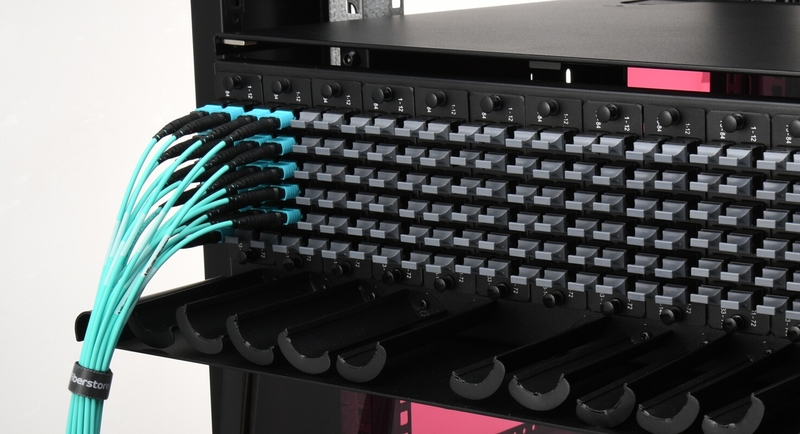 Figure 6 is also an interconnect solution for SFP+ transceivers, but on the right side an 8-fiber MTP to 4 x LC harness cable and an MTP adapter panel are used instead. This solution works best when connectivity is required for high port count switch. This solution is a duplex cross-connect. It will allow all patching to be made at the main distribution area (MDA) with maximum flexibility for port-to-port connection. Figure 7 illustrates the cross-connect solution for duplex connectivity. We will discuss items required to connect two parallel (8-fiber or 20-fiber) transceivers in this part. These protocols include but not limited to: 40GBASE-SR4, 40GBASE-xSR4/cSR4/eSR4, 40GBASE-PLR4, 40GBASE-PSM4, 100GBASE-SR4, 100GBASE-eSR4, 100GBASE-PSM4, 100GBASE-SR10. When directly connecting two QSFP+ or QSFP 28 transceivers, an 8-fiber MTP trunk cable is needed. For directly connecting two CFP transceivers, a 24-fiber MTP trunk cable is needed. Figure 9 shows an interconnect solution for two CFP modules (20-fiber). To break-out the CFPs to transmit the signal across an 8-fiber infrastructure, a 1 x 3 breakout harness (24-fiber MTP to three 8-fiber MTP) is required. To achieve an interconnect for two 8-fiber optics, we can replace the breakout harness by an 8-fiber MTP (pinned) trunk and the 24-fiber MTP trunk by an MTP (not pinned) trunk. This post gives brief introduction to the meaning of duplex and parallel optical link and presents some connectivity solutions for two duplex optics or two parallel optics. The corresponding items used in each solution are listed too. 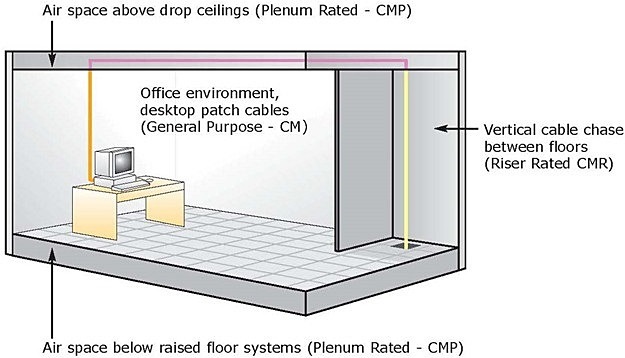 The transmission distance and working environment should be taken into account when applying each cabling solution. The parallel to duplex connectivity solutions will be discussed in the next post. Since the introduction of Base-12 connectivity in the mid 1990s, the 12-fiber MTP/MPO connector and Base-12 connectivity have served the data center for about twenty years. It has helped a lot in achieving high-density and manageable cabling. Recently, many documents and posts are discussing about a new technology—Base-8. Its appearance is regarded as the evident need of future networks. Even though most of the words are promoting the overwhelming advantages of Base-8 system, we should still consider the defects and merits of these two systems based on some facts before taking the next step by ourselves. This post is a discussion on this topic. In this part, the design features of Base-12 and Base-8 systems will be introduced. And their dominant advantages are going to be discussed too. Base-12 connectivity makes use of links based on groups of 12, with 12-fiber connectors such as the MTP. In Base-12 connectivity, for example, trunk cables have fiber counts that are divisible by number 12, like 24-fiber trunk cable, 48-fiber trunk cable and all the way up to 144 fibers. However, in a Base-8 system, we don’t have 12-fiber trunk cable, instead we have 8-fiber trunk cable, 16-fiber trunk cable, 32-fiber trunk cable and so on. All trunk cables are based on increments of 8 fibers. Base-12 and Base-8 trunk cables are visually different on connector design. A Base-12 trunk cable generally has unpinned (female) connectors on both ends and demands the use of pinned breakout modules. 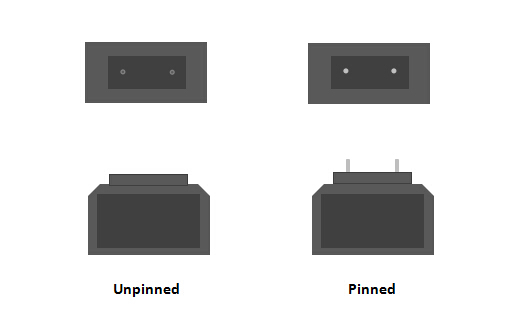 In the new emerging Base-8 system, a trunk cable is designed with pinned (male) connectors, as a result, it should be connected to unpinned components. Compared with Base-8, Base-12 obviously has the benefit of higher connector fiber density. Thus a larger number of fibers can be installed more quickly when using Base-12 connectivity. And it is very easy to be deployed into all-ready existing Base-12 architecture. As the networks are migrating to 40G and 100G data speeds, Base-8 connectivity has some advantages that cannot be denied. For some 40G and 100G applications, including SR4 (40G and 100G over parallel MMF) and PSM4 (100G over parallel SMF) supported eight-fiber transceivers, and SAN switch Base-8/Base-16 port arrangements, Base-8 connectivity is a more cost-effective choice. In these applications, Base-8 enables full fiber utilization for eight-fiber transceiver systems. But Base-8 connectivity is not optimized for all situations, including duplex protocols like 25G and 100G (duplex SMF). If we are going to deploy Base-8 devices in our existing network, it is possible to have Base-12 and Base-8 connectivity at the same time as long as we do not mix them in the same link. On one hand, it is not wise to use conversion module between Base-12 and Base-8 devices, because the added cost and increased insertion loss will surpass the benefits it can brought. As mentioned before, the two systems are not interchangeable since they usually have different connector configurations and have unequal attachment requirements. Therefore, special care should be given when managing the data canter physical layer infrastructure, to ensure that the Base-12 and Base-8 components are used separately. When a new technology comes out as a new option for us, we need to decide whether to change or not. In terms of the discussion on Base-12 and Base-8 systems, after listening to voices from different sides, the key factors are still determined by own specific needs. If we decided to move to the new technology, the following question is how to realize the best migration. Having comprehensive understanding of the solutions and products vendors supply will never be a bad choice.